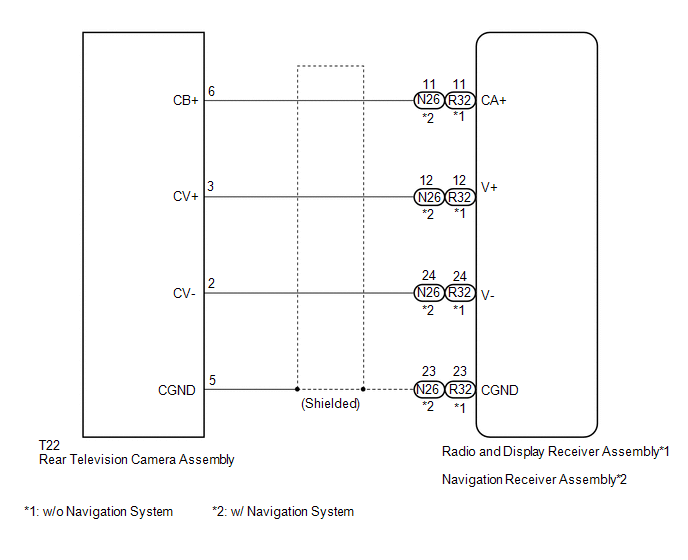 The display signal of the rear television camera assembly is transmitted to the radio and display receiver assembly*1 or navigation receiver assembly*2. (a) Reconnect the rear television camera assembly connector. 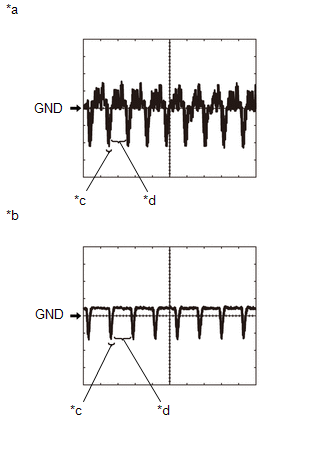 (b) Check the waveform of the rear television camera assembly using an oscilloscope. A waterproof connector is used for the rear television camera assembly. 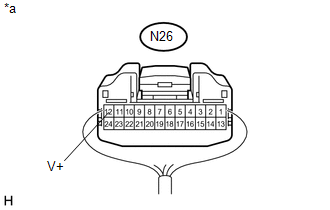 Therefore, inspect the waveform at the radio and display receiver assembly with the connector connected. A waterproof connector is used for the rear television camera assembly. 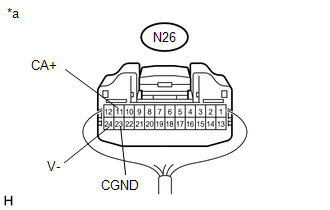 Therefore, inspect the waveform at the navigation receiver assembly with the connector connected.